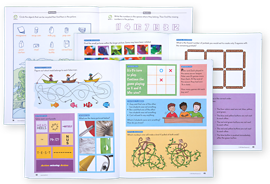 Now through March 31 Mead is offering 20% off their Children's Early Learning Products and free valued shipping Choose from workbooks, flash cards, writing tablets and more. Use code RELIANT10 at checkout to get the discount. Whether your young learners are just starting preschool, entering kindergarten, or already in elementary school, Mead Early Learning provides a perfect jump start for academic success and summer learning.